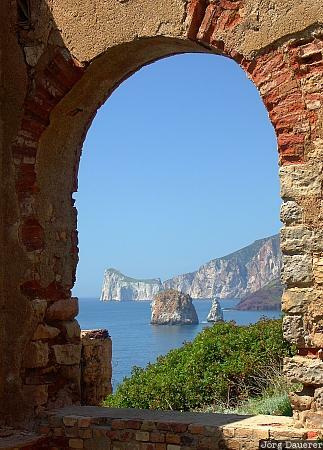 Coast of the mediterranean sea near Nebida seen through an arc of the ruin of Laveria Lamamora (a facility to clean minerals) in the southern part of Sardinia, Italy. This photo was taken in the evening of a sunny day in April of 2005. This photo was taken with a digital camera.